The ADT enters Nebraska on the spectacular new Bob Kerrey Pedestrian Bridge over the Missouri River, the longest pedestrian bridge to link two states, leading to downtown Omaha. It follows a riverfront trail to Haworth Park in Bellevue, Nebraska’s oldest community. From there, it uses the Bellevue Loop, Papio, West Papio, and 144th Street trails. Omaha is Nebraska’s largest city and the birthplace of President Gerald Ford, Malcolm X, and Marlon Brando. Boys Town, the Henry Doorly Zoo, and Joslyn Art Museum are located here. The ADT follows a trail parallel to Nebraska 50 to Wabash and the MoPac East Trail into Lincoln. Lincoln is the capital of Nebraska, the only state to have a one-house (unicameral) legislature. The trail passes the State Capitol and Museum of Nebraska History, which houses three floors of exhibits from prehistoric times to the present. The ADT follows paved and dirt roads from Lincoln to Stromsburg, passing through or near Branched Oak State Recreation Area, David City, Shelby, and Osceola. The ADT uses the Oak Creek Trail between Valparaiso and Brainard. At Central City the ADT meets the Platte River and the Oregon National Historic Trail, which is on the south side of the river. The ADT continues on country roads to Grand Island and crosses under I-80 to Doniphan. The Stuhr Museum of the Prairie Pioneer in Grand Island has an exhibit on pioneer life and a reconstructed railroad town of the 1860s. The Pony Express National Historic Trail and the Mormon Pioneer National Historic Trail also follow the Platte River Valley. The route stays mostly on dirt roads south of the Platte River through Denman, Lowell, and Newark to Fort Kearny State Historical Park, a government outpost established in 1848. In the ensuing years, it protected pioneers on the Oregon Trail, crews building the Union Pacific Railroad, and mail-carrying stagecoaches. The broad Platte River Valley is the site of one of the wonders of the natural world as nearly 500,000 sandhill cranes gather here from late February through early April on their spring migration northward. Heading west from Fort Kearny, the ADT approximately follows the Oregon Trail through the flat land on the south side of the Platte River. 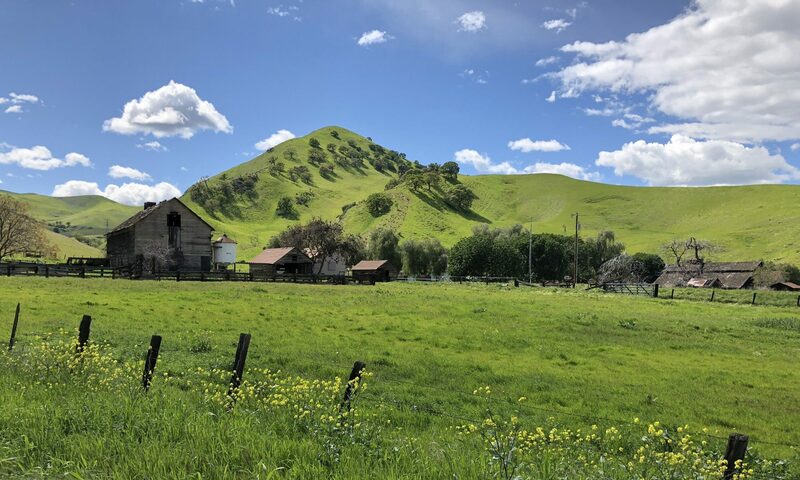 The trail follows country roads through some of the best corn farms in the U.S. Just before reaching Johnson Lake, the trail climbs out of the river valley and passes through wildlife-rich canyon country along the top of the valley ridge. From Johnson Lake State Recreation Area near Lexington the ADT follows maintenance roads along the Tri-County Supply Canal to south of North Platte. These maintenance roads are currently restricted to maintenance vehicles and foot traffic only. Towns along this section include Cozad, the location of the Robert Henri Museum, and Gothenburg, the site of a Pony Express station and the Sod House Museum. The Fort McPherson National Cemetery is west of Jeffrey Reservoir. Buffalo Bill Ranch State Historical Park is in North Platte. From Lake Maloney State Recreation Area, the ADT continues following the canal road system to the north shore of Sutherland Reservoir, where it passes north of I-80 and follows the Sutherland and Keith-Lincoln County canals to Lake McConaughy north of Ogallala. Near the west end of the lake, the trail enters Ash Hollow State Historical Park, which lies on an unusual geologic stratum known as the Ash Hollow formation. This is an excellent example of the landscape of the central Great Plains just before the Ice Age. Deep ruts of the Oregon Trail can be seen at Windlass Hill. The ADT heads south on county roads to Big Springs and enters Colorado near Julesburg and the intersection of Interstates 76 and 80.